Even though I believe in intelligent training methods, there is no doubt that hard work is mandatory to reach the stars. The saying is “no pain, no gain” and there’s no doubt a bit of suffering can go a long way if you want to beat the opposition. 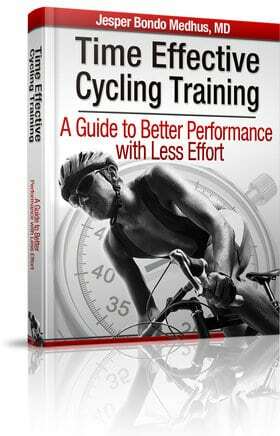 The first rider I made a training program for did not receive the best training methods available. I started as a cycling coach in November 2000 training an average junior rider from the local club. He had commitment to his training and we were both 100% dedicated to make this project a great success. We tried to do everything the best possible way. He trained more time than he was used to, he performed scheduled interval training, there was some kind of periodization and I gave him feedback and offered 1 to 1 coaching. Still, 13 years later it is obvious for me that I could have done several things much, much better. Actually, if I was to attempt the same today, I would make the training program completely different. There was a sensible overall structure, but most interval training was out of the blue. So what would I have done today? This rider really succeeded with this training program because he had the right attitude to take his training to a new level. He was not afraid to suffer during training and mentally he was extremely focused on getting the job done. Being very dedicated and believing in the training program led to impressive improvements. He completed the training program as scheduled and achieved great results the following season. He went from being a completely unknown rider to being competitive at national level and participating in several international races. That story illustrates that attitude plays a big role. Even the best training program will not take you anywhere if you don’t do the hard work. There are no legal ways to reach great improvements without suffering. So the real secret to succeeding with e.g. 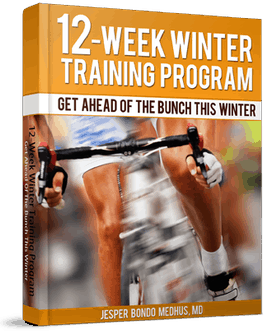 the 12-week winter training program is to actually get the work done. There might be things you would like to do differently and there might be things I would suggest differently in the future. BUT they are just mere details. The overall success ratio is still mostly influenced by how YOU attack the training sessions. Never, never EVER train without a measurable, relevant and time-related goal. Metrics are GOLD, and power is the KING of metrics. I would NOT entertain any ideas about being able to “find” any extra ability in a race situation that I couldn’t elicit in training. Whether through tapering, adrenalin of race day or rising to the competition! Det jag har märkt med 12 v programet är att dom korta intervallerna är det inga problem med. Därimot dom långa intervallerna. Jag är exsplosiv som cyklist. I just finish 12 week program and I can feel already big improvement in my power and overall condition. I hardly wait taht i test my self in races. One question what is the best preparation form switching from pre season training to racing season. ( from one period to other). What facts in training must be changed, volume of training time, power+, intensity ( more intervals)…? There is just one NO HARD WORK- NO BENEFIT.If you are focused in training, nutrition and scedule and doing thinks right there must be success!!! A base training (preseason) 4/5 months with greater focus on muscle strengthening. I’m 50 years old. In no chance of recovery be neglecting. You pay the price throughout the season. I finished the 12 week winter program by the end of january. Most training has been on a trainer and I have been really committed to the program and almost always pushed myself a little extra. Due to the extremely long, snowy and cold winter in Sweden this season a few of the weekend rides was exchanged to nordic skiing or spinning. Finishing the program I took one easy week with a few days of alpine skiing followed by four weeks of sub- and treshold intervals on trainer and weekend rides. 12 days ago I finished the VO2 Max booster program. I felt improvements in my power. I have since then had a few rest days, 5 hard group rides of 2,5 – 3+ hours and a few short recovery rides. To my surprise and disappointment I feel worn and I can not race with the fastest riders in my group. Last fall I was one of the strongest riders in the group and could challenge anyone time to time. Am I overreaching? I have a sleeping disorder, but that has been for ages. I’m 49 years old. The difference attitude makes, and the athlete’s ability to suffer through the hard work, is further evidence of the validity of an 80/20 principle. All the sophisticated training design and implementation is worth little if the athlete doesn’t have the right mindset and application.